The screen shots here are from phpMyAdmin 2.11.4, which I have on my local computer. Web hosts using different versions should look similar. They certainly produce exchangeable results. 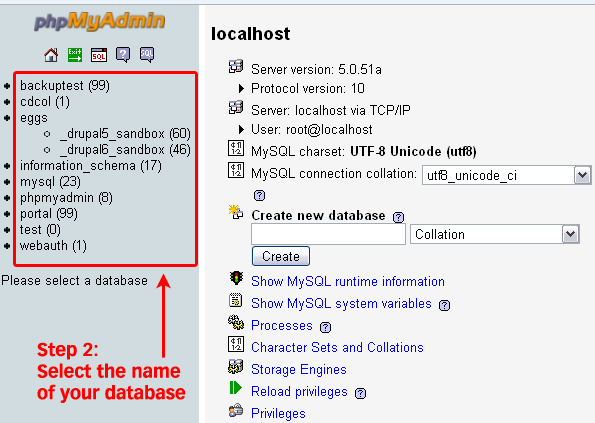 Log into phpMyAdmin on your server. Select the name of your database – or your Drupal database if you have several databases. The next screen will show you all the tables inside your Drupal database. Ignore those, and click the “Export” tab on the top set of tabs. Look at the left box at the top of the Export section. All the tables in the database you selected are in that box. If you have other programs that use the database, then choose only those tables that correspond to your Drupal installation. 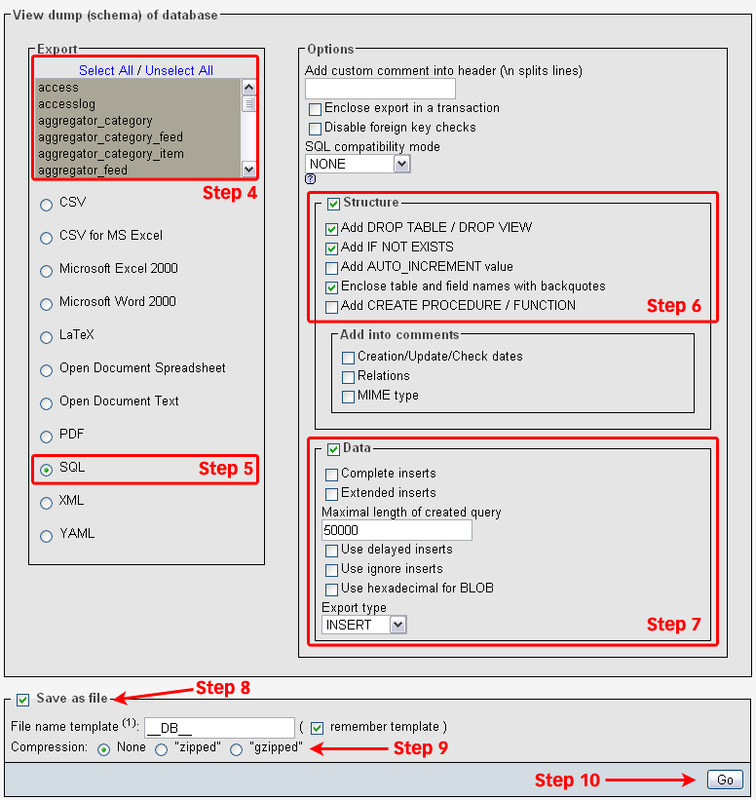 Ensure that the SQL button is selected too. In the DATA section leave the boxes inside this section unticked, but make sure to keep the check box next to the “DATA” heading checked. If any of the boxes is pre-checked, uncheck them. Tick the “Save as file” option. For now, select “None” for compression. Now click “Go” and you should be prompted for a file to download. Save the file to your computer. Depending on the database size, this may take a few moments. Once that download is complete, you may check the “zipped” option, click “Go”, and download the next file. If you want, you can download a backup in each of the compression formats. Your choice. Use one of the compression options above.